The project aims to examine the involvement of Indigenous Australian women in sport and physical activity. 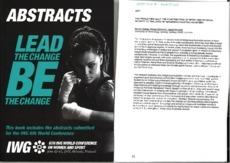 To date, unlike their male counterparts, there has been little attempt to recognise and/or document the meaning, place and experiences of sport and physical activity for Indigenous women. In recent years, there has been Increasing inquiry into the intersecting challenges of racism and sexism in Australian sport, in relation to historically marginalised populations-that of people from culturally and linguistically diverse backgrounds. However, in contrast, the experiences of Indigenous Australian women have been largely ignored, with some exceptions being discussions in the mainstream national narrative around three successful and high profile Indigenous sportswomen, Cathy Freeman, Nova Peris and Evonne Goolagong-Cawley, with Indigenous people left to themselves to champion their own female sports heroes such as Marcia Ella-Duncan and Bo De la Cruz. This research explores why Indigenous Australian women are less likely to participate in organised sport and physical activity than Indigenous men or other Australian women. Guided by an Indigenous philosophy known as Dadirri, an interpretative qualitative approach is adopted. Dadirri involves gathering information through quiet observation, deep listening and building knowledge through sensitivity and awareness. Threads of lndigenist Feminist Standpoint Theory (based on Aboriginal ontology and epistemology) are also interwoven . In keeping with Dadirri's concept of deep listening, the methods adopted include face-to-face conversations with groups and individuals. These will be conducted at one rural location (Flinders Island) and one urban location (the National Centre for Indigenous Excellence in Redfern, Sydney). Results are emerging. It is envisaged that these findings will lead the change by informing policies and programs which are used to support, encourage and enhance Indigenous Australian women's participation in sport and physical activity by highlighting the needs, wants and desires along with the strengths-of Indigenous Australian women.